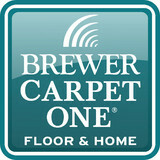 Brewer Carpet One has been providing Oklahoma with great floors since 1983. We know how important it is to feel confident in your flooring selection. That's why we offer you unmatched peace of mind with our one-of-a-kind guarantee. We want you to be 100% happy that the floor we've created together is as beautiful as the one in your dreams. If not, we will replace it for free. That's what we call The Beautiful Guarantee™. And we offer an easy-to-understand warranty system that gives you a level of protection that is tailored to you. Monster Flooring Sale provides our customers with premium Hardwood, Laminate and Vinyl Flooring at guaranteed low prices. We are a privately held organization, fully licensed and insured, driven by innovative ideas, superior customer service, and top quality installation professionals. Feel free to reach out to us, we would love to hear from you! Northcutts provides all the best names in carpet, tile, hardwood, marble, stone, laminate and vinyl flooring at wholesale prices that beat the competition every time. We have carpet and flooring products that are perfect for rental properties. Serving Oklahoma City, Edmond, Moore, Norman, Yukon, Mustang and all metro areas. Northcutts has the flooring for all your home, office and commercial needs. Carpets and upholstery cleaned the Chem-Dry way are left sparkling clean and dry most in 1 to 2 hours, not the 1-2 days you may have experienced with other cleaning methods. We don’t use soaps, detergents, or any harsh chemicals to accomplish our great cleaning results because we use the power of crystal clear carbonating bubbles! Founded in 1960 by Henry Moorman, Moorman's Distinctive Carpets and Area Rugs has served Oklahoma City and Oklahoma for 53 years! Intent on providing the finest products in the industry, Henry Moorman aligned his store with the most reputable suppliers in the business. As Karastan's only Gallery of Design Showroom, a Wools of New Zealand Premier Partner Showroom, International Design Guild Showroom and as an ASID Industry Partner, Moorman's sports the finest product selection available in OKC to both home owners and the design trade. Henry Moorman selected his successor in the business with long time employ of 37 years, Jim Schrempp. Since Henry's passing in 2005, Jim has continued the legacy entrusted to him at Moorman's Carpets, using the same principles he learned from Henry Moorman. Trust Moorman's to fulfill all your carpet and area rug needs! Family-owned and operated, Campbell Brothers Interiors has been offering Stillwater residents quality residential and commercial floor covering products for over ten years. We aim to please and want to be your flooring destination for any new or remodeling project. We take the guess work out of your flooring projects and are happy to do in-home measures and estimates at no charge. Call or visit our one-stop local showroom in Stillwater today to explore all of our flooring, tile, and window treatment options! Haleyﾒs Carpet is family owned and operated in Oklahoma City for 30 years. Owners Mike Yoder and Jamie Hubble take pride in providing quality products, expert installation and affordable prices. Mike has more than two decades experience in carpet and flooring installation, and has long been considered a ﾓflooring expertﾔ within the industry. Jamie has spent the same amount of time in business management and customer service, and she adds considerable value and service before, during and after your purchase. We understand how difficult it can be to find just the right flooring for your home or business, and we are here to help! At Floorco Design Center, we can help you choose from luxurious carpets in thousands of colors and patterns or the handcrafted beauty of exotic and domestic hardwoods. We can also help you pick from our diverse styles and designs of intricate patterned tile or our durable laminate flooring, sheet vinyl and luxury vinyl tile. Located in Oklahoma City, OK, Floorco Design Center provides so many choices for every room in your home that lets you express your personal style. Since 2004, our family has been taking care of our customer's residential and commercial flooring needs. My son Christopher’s experience as an installation contractor encompasses a myriad of materials and construction venues, spanning commercial to residential installations, from carpet to tile to wood. In addition, my son Sam brings to the table skills as an AutoCAD draftsman, and he handles the planning. We know floors. I've been in the flooring business since 1995 and have truly enjoyed working with my customers throughout the years. I am certified by the Ceramic Tile Institute, as one of about six certified consultants in the state of Oklahoma. Our reputation as a quality, family-run business is very important to us. We put our name on the building and are very concerned about how well your floors are put in and whether or not you are happy. When we began the retail business, we sat down as a group and made a list of what was wrong in the flooring business. Then, we came up with ways to make the product cost effective to the customer, and maintain integrity. Because of our outstanding buying power, from a history of large commercial projects, we are able to buy like the biggest stores in town, but operate with overhead that resembles the smallest store. We stand by our work. We stand by our name. I hope to see you in the showroom soon. Since 1976, RCO has served customers with professional, quality service and great customer care at affordable prices. Owners Bill Brewer and Steve Street and General Manager Fred Silbernagel have 85 years combined accumulated residential and commercial flooring knowledge. Their flooring team brings to you solid and professional expertise. Rug & Carpet of Oklahoma has a history of providing the best personal customer service possible while building lasting relationships with their clients that span decades. 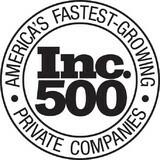 In fact, it is from repeat business and customer referrals on which we have built and grown our business. Based on your custom requirements, Rug & Carpet will discuss size, style and texture to provide you with decorating options that will result in a successful flooring project that will look beautiful for many years to come. To provide the best flooring experience through outstanding, professional customer service, quality flooring and competitive prices. Carpet dealers in Oklahoma City, OK help homeowners choose the correct carpet covering for their floors, and also assist with carpet maintenance. This includes determining factors like material, carpet pile, durability, color and size, as well as helping with any custom carpet design. After completing the initial installation (which includes removal of the old flooring, if applicable, and surface prep), they may also handle follow-up maintenance requests such as carpet cleaning, carpet repair and carpet stretching. Carpet dealers might work closely with Oklahoma contractors, interior designers and others in the home building and home improvement industry. Here are some related professionals and vendors to complement the work of carpet dealers: Interior Designers & Decorators, Design-Build Firms, Specialty Contractors, General Contractors, Home Builders. Find a carpet dealer on Houzz. Narrow your search in the Professionals section of the website to carpet dealers in Oklahoma City, OK, and read reviews and ratings for pros in your area.